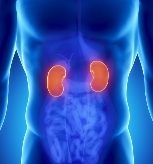 We are here to help you with Life Insurance Approval with Lipoid Nephritis! We know it can be frustrating searching for a life insurance policy with a history of Lipoid Nephrosis. Can People Who Have Lipoid Nephrosis Be Approved for Life Insurance? Yes, most individuals with Lipoid Nephrosis will be able to qualify for traditional life insurance, the type of insurance which requires a medical exam. Best Case Scenario– Lipoid Nephrosis only get one rating and that is at “Medium Substandard”. These are for conditions, whose primary disease has been detected early, and complications of serious kidney damage prevented. Most of these cases have recovered fully and have been stable for 2 years already. Click here for quote at “medium substandard“. What is the primary disease that caused your Lipoid Nephrosis? Full awareness of your condition has the best chance of good management, and if you know the answer to this question, you may get a good chance to get a Medium Substandard rating. How many years since you had the first episode of Lipoid Nephrosis? Lipoid Nephrosis is a progressing condition, but the complications of serious kidney injury may be prevented with early management. Longevity of the condition without proper treatment, however, increases the probability of complications such as renal failure. Symptoms such as proteinuria, hematuria and hypertension may be flare signs of the primary disease. These symptoms may be warning signals of an impending renal failure, which may get you a “Medium Substandard” rating or in worst cases even a decline. Regular visit to your doctor is very vital to ensure good control of your condition. And good control is a good sign for life insurance companies, which may earn you a “Medium Substandard” rating. Recent laboratory exam of your creatinine levels or a diagnostic test for your glomerular filtration rate (GFR) are the best way to assess your actual condition. This may also confirm your compliance with your physician’s management. 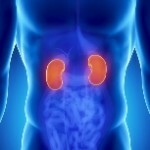 Lipoid Nephrosis is not a disease in itself, but is a symptom that is commonly found in patients with kidney disease. Usually, a primary disease is the cause of this condition; some of them include allergies, Hodgkin’s disease or the use of nonsteroidal anti-inflammatory agents. The pathophysiology of Lipoid Nephrosis is unknown, but most of researchers agree that it is related to cytokine levels. As a result of this, the condition manifests what is known as nephrotic syndrome. Symptoms of nephrotic syndrome as a result of Lipoid Nephrosis include proteinuria (protein in the urine), hematuria (blood in the urine), hypercholesterolemia, hypertension and edema (generalized swelling due to water retention).